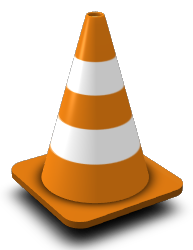 VideoLAN team has released version 1.1.0 of their VLC player. This release has many improvements over the previous 1.0.0 version of this “swiss army knife of media players“. A detailed description of the changes can be found in the team’s announcement of the new release. You can also have a look at the supported features of the player. Slackware packages are available for you: http://www.videolan.org/vlc/download-slackware.html . I’ll be happy with feedback from you, if you are using my package. Please note that you do not have to install any other package if you use mine. There are no package dependencies (except for libdvdcss which you have to install additionally if you want to watch “encrypted” DVDs – which means almost all DVDs). Please note that the VideoLAN developers have decided to deprecate all older versions of their player. This means that as soon as a vulnerability is discovered in releases before 1.1.0, this vulnerability will not be patched and you will be urged to upgrade to 1.1.0 (or later) instead. This decision was made because the developer team is currently stretched thin and is unable to maintain more than one stable and one development branch. 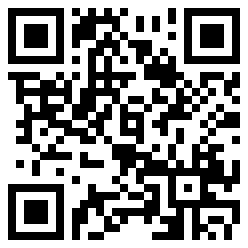 Have fun with this great piece of software! Posted: 22 June, 2010 in Slackware, Software. [0x806714c] main libvlc: Esecuzione di vlc con l’interfaccia predefinita. Usa ‘cvlc’ per utilizzare vlc senza interfaccia. what could the fault be? Those lines are not errors, they show up when you start vlc from a terminal and should be harmless. How does vlc crash for you? What version of Slackware? What desktop environment? Do you see any other lines of (error) output? Etc… you need to be more specific here. I just tried again and it seems to be OK.. Rather strange eh! I’ll post back if I experience more. Thanks Eric! Oh while I am writing here, do you know when the next stable release of kde will be released for slack? I have to say that I am having problems with VLC again. Basically, what I said in my previous post was true, I thought the problem went away but not really. I open a video file with vlc (vlc is assigned to my video files by default). When the video ends, or if I want to end the playback I close vlc. All normal so far. If I reopen vlc, it wont re-launch. I need to ps -A to see if vlc is still running (which it does) and killall vlc. Then I can relaunch it.